Implantable Sensors | MediWise Ltd. - Advanced Engineering For Better Care. It has become more important than ever for medical experts and doctors to be able to have direct access to real-time data for diagnosing and treating patients. During radiation treatment for breast cancer for example, doctors need to know the exact location where the radiation is targeted as well as an estimation of actual dosage delivered. Drug effectiveness can also be dramatically improved if the correct drug dosage can be guided to a target inside the human body and then specifically released to that target via wireless remote control and over the internet. 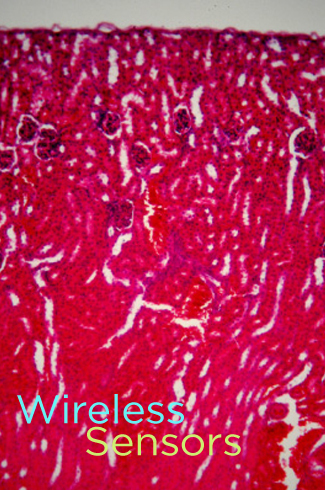 MediWiSe designs miniaturised healthcare devices that can be safely implanted and provide real-time, in-vivo diagnostics which are controlled via wireless links over radio frequency waves. Using the latest technologies of thin-film batteries and inductive coupling, these systems can be combined with a large variety of sensors (temperature, radiation, vibration, etc.) or with drug delivery capsules to provide integrated implantable medical solutions.